Today is one of my favorite posts because it combines some of my favorite things… planners, homeschool, and organization! I’ve been wanting to do this post for quite some time, but I had to get it just right before I did. To be honest, I LOVE when homeschoolers will post their plans and planners for me to see, but I also would get overwhelmed. How do they do so much in a day? How do they plan for all those little nuts and bolts of the big plan? I didn’t see their whole process, but I decided to just do what I could and take it one bite-size piece at a time. As I watched their YouTube video (nerd alert! ), I would jot down a list of all of the components in their planners. Then, I would cross off the ones I didn’t need in mine, and add things that I did want to add and include. Little by little, I began working on a plan for each of those things whether it was a divider section or a pocket or a way to keep up with our attendance… and I found what works for me. I’m pretty happy with the results. Sometimes I add some stickers and a little washi here and there, but for the most part I really don’t. It’s more about function and use for me, so it’s mostly just pen and pencil and highlighters. I purchased a Teacher Planner that’s already pretty cute on it’s own so I don’t feel the need to spend time decorating it too. I love keeping it all together in this cover. It gives me extra pockets and a place to keep my pen or highlighter handy. It’s the perfect place for this sticker pack. The planner is this one. Last year, I used a regular classic-sized vertical Happy Planner, and it worked just fine, but I really love ALL THE SECTIONS that the teacher planner gives me. **It looks like the Teacher Planner I have is out of stock on the Mambi website. Be sure to check Michael’s if you’re looking to get it, or check out the other available options in teacher’s planners. If you purchase from Michael’s, be sure to use their coupon if they aren’t already on sale the week you go. I like to start out the year with a “Back to School Survey”. I’ve done this for about three years, and it really is fun to look back and see their answers from previous years. I made my own, and we use the same one every year to keep it simple. I also keep this “Plan your Year” calendar in the front where I planned out all of our terms for the year and planned breaks. You can learn more about our yearly planning and schedule in this post. Finally, here you can see my tabbed dividers… I have a section for our Memory Work, Knight Training, Reading, Planning/Scheduling, and Bible Roadtrip. I’ll share some samples from each of those sections. In our Reading section, I have printed a First Grade Reading List for Lawson so we can use this list as we choose books at the library each week and highlight them as we go. I also have a Read Aloud Revival Booklist. It’s 10 pages of different types of the best read alouds…. everything from Audio Books to Board Books, to Stories for Large Families. It’s got it all. I’ll also need to add a “Reading Log” to this section, but I’ll probably just do that with a simple notes page to keep it simple. In our Memory Work section, we have Linkin’s Raising Rockstars Preschool Memory Verses. I realize the page says “Kindergarten” but that’s because the verses are the same for both years, so next year will be a review for him. I like this page because we can easily see all the verses at once to review when we need to. We also have our Catechisms in here. I love these, and I’ve already seen how they can apply the things they’ve learned from just by memorizing them. They really like the question and answer flow when we do these. I’ve also included some other Memory Work samples for you to see. I like to have it at a glance for me so I’ll know what to review and introduce to them. I put previously learned things in here as well to review periodically. We’ve got scriptures, poetry, manners, safety rules, mottos, and skills like skip counting in this section. In our Knight Training section, we’ve got our Knight’s Code of Chivalry that we’re working through. We do one per week and discuss it from notes I took when I read the book. I’ve included some of my notes from the introduction of the book here to give you some ideas. I just love this for my boys! In the Planning/Scheduling section, I’ve got our current “Term Plans”. I make a simple six-week plan for us based on how far we got in our previous term and how far I think we need to get in this term. It just helps us to stay on track and pace ourselves. If you were to compare this term with last term, you would see that I’ve slowed down some things we do like doing only one verse per week of our Psalms Memory Work and taking two weeks to cover our Bible Roadtrip lessons. This is much more doable for us, but we’re still making great progress. Also, in this section I have “Just Because We Can” Days List… which gives us some ideas of some things we can do, really whenever we want to, and just because. I’ve also added some pages for ideas as they come to me in the form of Movie Mondays, Tasty Tuesdays, What’s New Wednesdays, Thoughtful Thursdays, and Fun Fridays. I like the idea of assigning various “extra” fun things to certain days, Otherwise, they may never happen. I also have some lists for Service Days, Playdates, and Fieldtrips in this section so that we can keep track. In our Bible Roadtrip section, I keep our lesson plans for the current term. I’ve included a full week for you here so you can get a little idea of what the curriculum is like. If you have older children, you would just add in those sections that would build on the others, but of course, I had no need for them so I didn’t include them in my planner. I just love the cute dashboards and dividers in the Happy Planners, especially the “teacher-themed” ones this one has. You can see how I use the monthly spread page to keep up with our attendance, and I add in any reminders such as our weekly Memory Work review and monthly things to go over as well. I included my August lesson plans for you to see. I mostly write in our plans “after the fact” instead of making a plan before hand. Honestly, as much as I love to plan, I’m not really that great at carrying out really detailed plans so this works for me. I do kind of plan the week at a time for things like language, math, and Bible roadtrip. I write in the workbook or lesson plans a simple letter (M,T,W,R,or F) so I’ll know if I can fit it all in. Then, I’ll add it to my planner as we complete it to keep track. Of course, one of our weeks this month was our “Break Week” so I included that and added in some fun field trips we wanted to take (or did take), as well as some tasks I wanted to complete during the week. The final week I included is the first week of our Fall Term because the format looks a little different. I changed up the titles of the boxes. I left off our Summer Reading Program and included our Langage Arts curriciculum. You’ll also notice that I added in a “coupon”. These were a printable that I laminated and gave to Lawson a few years ago in his stocking at Christmas as a little treat. There are lots of different ideas included, and we grabbed a few of them randomly last year. I decided this year that I would punch them and add them to my planner. It helps us to “plan ahead” and actually do them this way… We can’t bake cookies if we don’t have all the ingredients. So now we are prepared. And that’s it for this school year’s Homeschool Teacher Planner! Let me know if you have any questions I can answer for you. Since we do not have a dedicated Homeschool Room in our home, this is our Homeschooling Corner, I guess you could say. We do still need a place to store all the things we use daily, preferably mostly hidden and away from toddler’s hands… this is what is working for us right now. I’m pretty sure I will change this setup before the year is over because I change things all the time. But for now, this is it. Let’s take a look! The dry erase / chalkboard easel is from IKEA. It was one of the kids’ combined Christmas gifts last year. We’ve been using the chalk side as “Our Chore Board” and the dry erase side to write our daily school assignments. The 3 cubical rustic shelf is from Walmart. On top of it we have our “Communal Supplies” – the ones that are for anyone to use. It’s easy to grab the box of crayons or tin of colored pencils to take to the table to work on a project if we need to. In the top cube, we have this metal organizer with our “Extra Supplies”… extra glue, extra boxes of crayons, extra boxes of our favorite pencils. We stock up on these with the Back to School Sales. Those boxes of crayons are $0.50 right now, but if I need a box during the school year, that same box is going to cost me over $2. I’m super frugal and cheap so knowing that – it’s really hard for me to pay that price later on. Stocking up is necessary. So necessary. Little ones need several boxes per year… not just one. Here’s Layten’s locker. Her color is pink so she has her pink binder portfolio, her pink clipboard, and also a magazine file with a sketch book, a coloring book, stickers, and various busy bags from previous weekly themes. These are all things I can grab for her to do to “entertain her” while I work with the older boys if I need to. This is Layten’s portfolio binder. I just use it to file her work after it’s completed to look back on if we ever need or want to. There are no dividers or anything fancy. It’s just for me. We use a clipboard to keep up with her weekly themed work, and her daily work. I clip on the front what we are doing for any given day, and it gives us a hard surface to write and color on. We usually like to do Layten’s school time on the couch. Inside Layten’s clipboard is where we keep all of her work that we will be doing for the week. I also keep this tin of crayons in here so we have what we need when we go to the couch for school. This tin came from Cracker Barrel years ago, but I love it because it’s flat, and it fits the colors she needs for school perfectly. This is Linkin’s locker. It’s got his portfolio binder, his cards folder, his clipboard, the Bible he uses for Bible Roadtrip, and a magazine file to file his previously completed work. Periodically I empty these files by adding the pages to their portfolios. I would say “Break Weeks” would probably be a good time to do this, but to be honest, it’s pretty random. This is Linkin’s portfolio binder. We just add the pages in order of completion… no dividers necessary. This is Linkin’s Cards Folder for Raising Rockstars Preschool that he’s working through this year. I used these with Lawson previously, so I laminated these cards, and they are placed in baseball card sleeves in this plastic folder for Linkin to use as well. We can use these cards so many different ways, but we love having this book to keep them in. It allows us to review previous letters, memory verses, numbers, and sight words each week as we are putting in the new cards. Here’s Linkin’s clipboard because he also likes to do school on the couch. On the front I clip his daily work. These front pages you see are also pages I used previously with Lawson, so they are laminated. We used to display them, but since we do school mostly in the living room, I don’t want to display them in there. And here’s a peek of the inside of Linkin’s clip. I took this picture on a Friday at the end of our term so there’s not too much to see here. Lawson’s binder actually does have dividers and sections, so I’ll show you what we’ve got in there. Here are the tabs we have for the different subjects we use. These dividers actually have pockets on each side so they are perfect for keeping math flashcards, Bible roadtrip crafts, etc. This is the Bible Road Trip Notebooking Journal. The first three weeks of it came with a sample pack I signed up for a while ago to see if the curriculum was a good fit for us. Obviously, I decided that it was, but I did not order the Notebooking journal for the rest of the course. I feel like it’s something we can just duplicate ourselves on simple paper in Lawson’s journal. Here are some samples of the pages in the Notebooking Journal though. I do love that it uses Narration (a Charlotte Mason idea) where Lawson call dictate back to me what he’s learning. Sometimes I write that down for him on paper, and then have him copy the sentences. We’re working on handwriting and copy work a good bit right now. Here’s Lawson’s First Grade Reading List. We’ve also got a Reading Log in here where he can keep up with the books he’s read. I may even have him do a few book reports and keep them in this section this year. Here’s a peek inside Lawson’s journal where he’s done some scripture copy work. And here is Lawson’s planner. He loves to work in it when he has free time, using his stickers and journaling. I’m not being strict with it or really giving him any guidelines. Here’s another locker that doesn’t belong to anyone in particular. We use it to store extra paper supplies like construction paper and loose leaf paper packs. It’s also got larger sticker and activity books and our boxes of manipulatives. The boxes contain our Math U See blocks and puzzles. Linkin likes to play with these independently after he’s finished his school assignments some days. On the hook at the top, I have a container to hold our chalk that I use for the chalkboard. In another locker, I have one with dry erase markers. I have to keep these things put away up high because I have a toddler and a sensory-seeking child who cannot contain himself when he’s around markers. They will be all over my furniture, walls, and him if I leave them out (which has happened quite a few times). This is our file for future weeks’ materials. Each child has their own set of folders – one for each week of the school year. Linkin and Layten only use 26 folders because there are 26 letters in the alphabet. I number them just for organizational purposes when we are initially setting up the file during the Summer. Then, for the most part I just grab the material from the very next file and move it to the back of their section. Easy peasy, and it saves me a ton of time by having it all done already. In the front we have mini books from Lawson and Linkin’s curricula and stickers, of course. In Lawson’s “Next Week” folder, I have his math pages (which we will add to his blue binder as the week approaches) and the Bible Road Trip plans. I printed these scaled to 80% and will cut them down to add to my homeschool planner when it’s time. I usually grab a few of these out at a time to cut down and punch for my planner, actually. Inside Linkin’s “Next Week” folder, we have his materials for Raising Rockstars Preschool, all printed and ready to go. And finally, in Layten’s “Next Week” folder, we have her materials and vocabulary development cards for her Tot School Printables curriculum. Some weeks have additional, related activities added in that I’ve collected over the years, but this week looks pretty simple. Since we do school at home, we are not required to do “school” like the rest of them. We are only required to do 180 calendar days per school year, and that can look however we want it to look. I love the flexibility this gives us. We love to take pre-planned breaks in our homeschool, and it’s also good to have those random days where we just need a day off or want to do something fun with family or friends who are available on a particular day. Some may call our Homeschool Yearly Schedule “Sabbath Schooling” or even “Year-Round Homeschooling”, though we still take a pretty good Summer break usually, so I’m not sure if this one is the most accurate. Sabbath Schooling refers to the homeschool schedule that is made up of “Six Week Terms” followed by a “Break Week”. #1 It helps prevent Homeschool Burnout. Sometimes, it can feel daunting to have to do school day after day after day. My kids feel it, and I feel it too sometimes. Then of course, there’s the feeling of being stuck at home. We want to get out and do fun things sometimes because it’s not always easy to do them on Homeschool days, or else we just aren’t motivated to come back home and get our schoolwork done. For the most part, homeschooling and being home with my kids is very enjoyable for me, but then there are times when even this mama needs a break. I can try my best to plan for these during our break weeks. #2 It allows me to do “Incremental Planning”. If you’ve been following me longer than a minute, you know that I love planning. Hence, the name of my blog. And as much as I love planning, you’d think I’d have the whole school year planned out before it begins, all written in my planner and such. You’d be wrong. I’ve tried that before, and it was an utter fail. It was a fail because plans are nice, but plans do not always happen as they are intended to. There are sick days, unplanned fun days, and “I just need a break” days. There are days where my children are frustrated and have emotional days and we end up skipping math altogether. These things just can’t always be “planned for”. So, instead I only plan out the intended yearly calendar, knowing that it will change some too, and I do Incremental Planning. During the Summer break, I select and finalize the curriculum we will be using and make a general idea of how often we will do each subject. Then, I only plan for one term at a time, and loosely at that. So I love when Break Week comes, because it allows me to plan our next term! It’s kind of like a New Year or a new day…. a fresh start for us. Even if we didn’t get as far as I’d hoped in the previous term, I can adjust our pace to make sure we are hitting various progress points throughout our year, and it’s really nice to have that flexibility. #3 Having a pre-planned Break Week gives us time to plan special things and get household projects done. Break week is the perfect time to plan fun, field trips. In fact, we’re about to have a Break Week this next week, and I’ve got planned for us to go and do something fun each day of the week! All of the public schoolers have gone back to school now, so we’ll likely have the kids’ places to ourselves or with much smaller crowds at least. Can you say #Winning?! 😉 This will also be a week where I catch up on some of the household projects that I don’t necessarily have time for during the school week. I’m excited about that as well. We can all use a reboot from time to time. I think about when I’m ready to start school. Usually, we tend to start in July because we love the routine that homeschooling gives us. This was the case this year, especially, because we will be having a new baby in the month of December so we will definitely be taking a longer break for that – probably at least a month or so, but we’ll see. I think about when we’d like to finish school (ideally, of course). We definitely don’t want to finish school after the public schoolers do. It’s no fun to be stuck inside doing school when everyone else is out playing (or so it seems). Unless, of course we were too excited to wait and start in July like we usually do. That’s an exception to that “stuck” feeling. I look at the calendar and enter our “Break Weeks” first, based on holidays or big events. Some of these would include the week of Thanksgiving, the weeks surrounding Christmas, and this year – our baby’s due date. Set our terms. This is where it’s really helpful to have a dated, yearly calendar to glance at – one that has multiple years actually. My teacher planner is perfect for this! But I also like to view it all on one page like the one shown from Pam Barnhill’s Plan Your Year. I usually start out by counting backwards six weeks from Thanksgiving to give us a Fall Term. Then, I add in a Break Week and count backwards again to give us another term if we need it. It doesn’t always have to be exactly Six Weeks for our terms. Some weeks may be five weeks, or seven weeks, or possibly even three – depending on how the calendar lines up. The most important part is to make it work for you, and that’s exactly what we do. *This one could change depending on when our baby decides to come. On the monthly spread of my teacher planner, I just write a large number to count up the days. I also note the pre-planned break weeks. And that’s it. That’s how we plan our Homeschool Year into terms! For more in this “Not” Back to school Homeschooling Series, you can visit my Homeschooling Page! She wants to do everything her big brothers do, including “school” so I decided to start working with her early, and she absolutely LOVES it! Basically it’s just a little planned out, intentional time that I spend with her each day to color and talk about things like letters, sounds, vocabulary development, counting, shapes, colors, etc. I’m not expecting her to master any of this right now, but she does do pretty well with it, even at such a young age. Our curriculum choice is Tot School Printables, and it was a free, printable download curriculum which I have used with both Lawson and Linkin. I laminated and saved what I knew I could use again with my next kids, and I’m really glad I thought to do that. It seriously takes us about five minutes a day, and it’s very simple, but this curriculum is awesome and covers all the bases. I recommend it for toddlers Layten’s age, and it would even be great for toddlers that are a little older. Linkin does NOT really enjoy “school”, and his learning style is very different from his siblings. However, I’m learning to work with him to teach him both in ways that are more his style, and he works with me on learning things that are more my style as his teacher. If I were to classify his preferred style of schooling, it would be “unschooling”. Basically it’s following your child’s lead in whatever they are interested in. This can work really well if they have a particular interest that you can follow their lead in, and I think it may work well for us as he gets older and finds more things that he’s interested in and passionate about. However, right now his interests include Rescue Bots, Transformers, and Paw Patrol. I can make that educational in some ways, but then I begin to draw a blank on what else we can do with it. Actually, the most educational thing I’ve found that falls into one of these categories would be the “transforming letters and numbers sets” we played with at Excel by 5. He REALLY loved those! The main curriculum I use with Linkin is called Raising Rockstars Preschool. It’s also available as a free, printable download. I love this curriculum because we are still reviewing the alphabet with it, but it takes it to the next level. Each letter has a corresponding Memory Verse and a page of how we can apply that verse to our lives. It’s basically a list of affirmations where he can see who God made him to be and all the things he can do because of that. We are working to write letters a little more this year, but it’s still very basic tracing lines. We do some cutting practice and gluing each week with our Memory verse strips, and each week has a song that goes along with it, which of course he loves. I think his favorite part is the little mini book that is included in each week though. It corresponds with the letter of the week and introduces a new sight word. He can memorize it based on the pictures and “read” it to me all by himself. I think this excites little ones to learn to read and gives them the confidence they need to have in order to learn the skills to do so when it’s time. Linkin really loves numbers, singing, small objects, and he loves to play. Most of his learning takes place doing these activities, and these are all “unplanned” things actually. After he does his “planned” curriculum with me each day, I let him have time to play freely (when Layten naps usually) with our Math U See blocks or puzzles or something else with small parts. He really enjoys having time to work with these things when he’s not bothered by his little sister, so during her nap time works best. We just started this curriculum, and I LOVE it! It was exactly what I was looking for in a Bible Curriculum. Giving my children a biblical foundation is one of the main reasons that we homeschool so having a good Bible curriculum is a must for us. I wanted something a little more in depth than a devotional Bible study, but not too much so that they couldn’t understand it. This one is perfect. For Linkin’s level we use the book 365 Great Bible Stories. We read the short stories and discuss them a little bit, and there are weekly crafts and usually an episode of “What’s in the Bible with Buck Denver” that we watch on our Jelly Telly app. With memory work, I don’t really “test” them in it because I can kind of tell what they know and are still working on. I’m really not too concerned that they memorize EVERYTHING that we work on, but that they get a general knowledge of it. I do test Linkin on his weekly Memory Verse with Raising Rockstars, and I want him to learn all of those verses and have them in his heart. For the other things, I just want him to be present with us (in the same room) and hopefully take in what he can from it. Ideally, he would repeat it with Lawson and answer the catechism questions, but like I’ve already said school is not his favorite thing so he doesn’t always participate. HOWEVER, there was one day that I had him alone and I was shocked to find that he actually has learned a good bit of our memory work and knew them very well (especially for a kid who rarely ever says them aloud with us). So this is why I’m not too concerned with it. Also, I’ve asked him questions in our Bible lessons recently that corresponded with Catechisms we’ve learned, and he correctly answered the questions and knew things I really didn’t even expect him to know at this point. He was able to apply the catechism questions and answers that we’ve memorized in a practical way. That’s how I know it’s working, and I’m a full Memory Work believer for sure! As I’ve mentioned we are working to learn “A Catechism for Girls and Boys“. We are working through Part One right now which are Questions about God, Man, and Sin. I don’t know how many we’ll get to this year. I’m just kind of taking it as we go and trying to make some progress towards completion… a little more each week. We are also working to learn Psalm 139 right now, and we just work a little at a time. I add in a few verses each week that we practice, but we always review the entire scripture portion. I’ll slow down adding verses if I see that we aren’t really learning it as fast or becoming more familiar with it. My memory schedule is very relaxed. 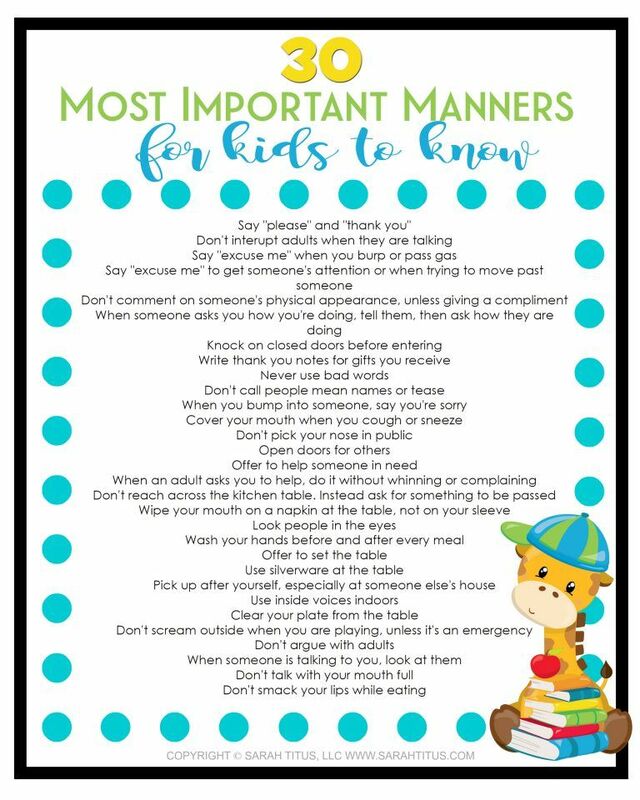 We also review things we’ve already learned periodically such as The Lord’s Prayer, The Pledge of Allegiance, Simple Mottos to Recite and Live By, our Home Address and Phone Numbers, Manners for Kids, Safety Rules, and previously learned verses and poems. Knight Training: This is based on the book Knights in Training by Heather Haupt. I heard her speak about this concept on a podcast, and I fell in love with it. We are losing the art of chivalry in our society, and I love that this book helps me to teach it to my boys… things such as obeying those in authority over you, defending the weak, respecting the honor of women, and pursuing excellence in everything they do… just to name a few. I’ll have to do a post solely on this topic, as it’s something that’s become a big part of how we are raising our boys now. Lawson and I have been doing “school” together for quite some time. I have always loved homeschooling because of the intentional time that it gives me with each of my children. Lawson has his days like all children, but for the most part he does not mind doing school. He wants to get it all done so he can be free and do his own thing, and he does really well with whatever I give him at this point. He doesn’t seem to have much of a preferred style that he’s voiced other than I noticed him getting bored with Math U See worksheets. so we did make a math curriculum switch this year. This curriculum includes Phonics, Reading, Spelling, Writing, Literature, Grammar and Punctuation, and Art Appreciation. I LOVE that it combines all of these in a very simple and easy way! It includes Easy Reader Books, Phonics Cards, and more. It was actually a free, download curriculum that I had printed and bound at our local print shop. This curriculum is simple in the fact that it is just one book and doesn’t include manipulatives. Instead, Lawson actually makes all of the manipulatives that he needs himself, and that’s what makes this “living math”. He has made his own flashcards with silly story pictures on them, his own clock, and his own calendar. This really helps him to apply what he’s learning in a hands-on way, and he really enjoys it. It requires a little more planning and reading ahead on my part than our Math U See curriculum did, but it’s okay because it works so well for us. I flipped through the textbooks at our homeschool convention this Summer and decided to start Lawson in Level 2, because we’d already covered most of the things in Level 1. Actually for this one now, I actually just make up my own assignments for him. Based on what we are learning in other subjects, right now I give him a portion of scripture from his Memory Work to copy in cursive. Sometimes I have him answer a question for me or give a narration of something else he’s learning. I will write down what he says and then have him write it in cursive for his daily writing assignment. This is the same curriculum I’m using with Linkin as mentioned above, but it’s the 1st-3rd grade Lower Elementary level for Lawson. We are learning the same scriptures and Bible stories at the same time so it really does build on each level. For Lawson’s level, he reads from the ESV Children’s Bible. It’s really cool that he is able to read from the actual Bible all by himself now. This bible does have some pictures, but for the most part it’s columns and words just like any adult bible would be. We also use the books 66 Books, One Story and Window on the World that were highly suggested in the curriculum guide. For Lawson’s level, we do a bit more discussion with the questions listed for each reading assignment. Then we do some notebooking work to apply what we’re reading and studying. We work on memorization a little bit, we pray through the word, and also do bible crafts. Helping our children to establish a Christian worldview is important to us. This curriculum has been amazing to help us to explain why we believe the things we believe and why we do the things we do as a family and as Christians. We began this curriculum last year, and we’ve been slowly working our way through it. It’s a lot of read aloud and activities so we just work at our own pace through it. I love that this is a Christian science curriculum, and we especially love the hands-on projects that go along with it. We started this curriculum last year as well, and we’re still slowly working through it. Science is considered an “extra” at this age so we don’t do it every day. Like the Apologetics curriculum, this one is also heavy reading and assignments so we can’t always fit it in after we’ve done our main subjects. It will be easier to go through these courses when Lawson is a little older and reading more independently. Since learning the benefits of reading aloud (even to older students who are already reading on their own), it’s something I’m really wanting to work into our homeschool day. To be honest, I’m not the best at finding time to read aloud. Sure, I read to Layten pretty often, and whenever someone brings me a book, but my children are active and busy, so this doesn’t always happen. It’s one of my homeschooling goals though so I’ll continue to work to get better at it. One area where we’ve seen some success though is on our weekly car rides to the coast to grocery shop… I will turn on Audible and play one of our books that way so we do make some progress there during that longer drive each week. We are currently working through the Read Aloud Revival Reading List. Lawson will also be working through a First Grade Reading List this year. Skill Trek – This is a supplemental curriculum that fills in the gaps of any education. It teaches “Life Skills” such as tying your shoes, using a blender, balancing a checkbook, and changing the oil in a vehicle. It introduces skills based on ages and levels, of course, and it would be such a fun addition to our homeschool that I think my kids would really enjoy and appreciate it. Kids Cook Real Food – I think this would also be one of those fun, supplemental things my kids would enjoy. They always want to help me in the kitchen, especially when I’m baking or making loaves of bread! I think this would be a fun way for me to intentionally include them in the kitchen, where I normally am a pretty resistant to do so, if I’m being honest.